If there is any food that is good for health but is not disliked, it must be a fruit of some kind. Thus, fruits have an important role in the dietaries of any people. This compilation provides interesting and useful information on some 15 nutritious fruits of India. 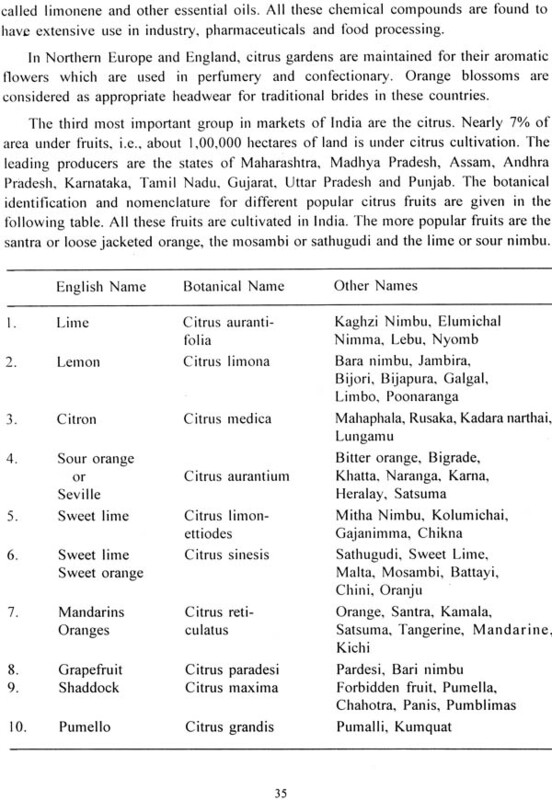 Their nutritive value, history, botanical nomenclature, some cultural practices are given. 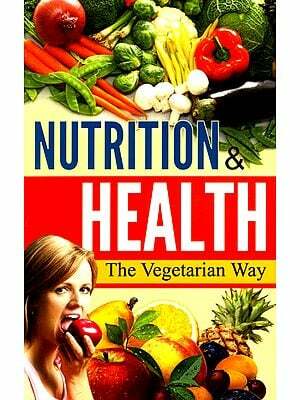 Most of the articles have earlier appeared in NUTRITION, a quarterly publication of the Institute. However, some additional information has been provided and several articles have been rewritten for this compilation by Miss Indira Gopalan of Extension and Training Division of the Institute. Recipes based on fruits are also indicated in the Appendix. This book is sure to be popular among the general public and scientists alike. Housewives, home science students, extension workers and many others will find it useful. This book on fruits has been one of the very popular publications of the Institute. First published in 1983, it was reprinted thrice. In this second edition, a chapter on yet another common fruit viz., pomegranate, has been added and the write-up on jackfruit revised, incorporating new information. The overall get up has also been improved with newer photographs. The role of antioxidants like beta carotene, vitamin C and vitamin E in the prevention and control of chronic degenerative diseases and cancer has been increasingly recognised in recent years. Besides dietary fibre, fruits are particularly rich in antioxidants. With the growing urbanization and changes in life-styles, prevalence of chronic degenerative diseases is increasing even in developing countries. It is important to educate the public and popularise foods which help in prevention and control of these diseases. This compilation is an attempt in that direction. Our feedback regarding this book has been very encouraging and we intend to enlarge the scope of this publication further in its newer editions. We hope the information provided in this publication would continue to be useful not only to the public but also to those engaged in nutrition education. Fruits seem to be a food enjoyed by mankind from the very earliest of times. Perhaps the first food that prehistoric man ate was a fruit of some kind. Even the story of man begins with the forbidden fruit in the Bible. In Indian mythology, there is a story associated with almost every fruit. Most Indian children can recall the story of how Lord Ganesha and his brother Kartikeya fought over the celestial Mango. The fable of the Fox and Sour Grapes is equally popular. From ancient times, kings and rulers have patronised fruit orchards. Old sculpture and art abound with depiction of a variety of fruits. Scientifically speaking, fruits encompass many foods usually classified as vegetables, fruits, nuts, berries, grains, legumes even cereals and some spices. However, when we say fruit, we usually mean the fleshy, pulpy, moisture laden product, full of aroma and flavour unlike the nuts, legumes and cereals which are dry. Botanically, fruits are the matured ovary of a plant with accessory parts. It is the succulent, pulpy, edible substance covering the seed of flowering plants and trees. Because of this, anything that is fertile and productive is often referred to as fruitful. Strictly speaking, it is very difficult to say why anyone item is classified as a fruit or a vegetable. Generally, vegetables are mature fruits which are not sweet or acidic. Fruits contain abundant quantities of sugar. Fruit starch is usually changed into sugar upon ripening. The important fruit sugars are fructose, sucrose, dextrose, glucose etc. In terms of nutrition, fruits are very good sources of several vitamins, mineral salts and dietary fibre, all of which are essential for good health. Nutrition scientists advocate the intake of some fruits in the daily diet. They are health promoting as well as pleasure giving. Of course, when compared to several other foods, fruits contain lesser amounts of nutrients and they can be expensive too. However, in the season when they are plentiful, fruits can surely enrich the diet of almost every one. Fruits are generally very efficient sources of vitamin C. An average of 100 g of mixed fruit can give an adult his daily vitamin C requirements. It is well recognised that vitamin C protects against scurvy. This vitamin also has other attributes such as improving resistance to infection and protecting against bleeding gums. The fruits which are good sources of vitamin C include the guava, sitaphal, amla, citrus etc. The yellow and deep orange coloured fruits are excellent sources of I)-carotene, the precursor of vitamin A. This essential nutrient protects the person from nutritional blindness. Mango and papaya are some of the best and least cost sources of this important vitamin. Tomato, orange, muskmelon, roseapple and cape gooseberry are also fairly good sources of carotene. Fruits generally do not contain large amounts of vitamin D. However, some are fair sources of vitamins of the B-complex family. These include banana, sithaphal, pineapple, cherimoya and raisins. Most of the essential minerals such as calcium are found in fruits like sitaphal, citrus, amla, hill guava etc. Some fruits provide iron and other trace minerals also - lemon, guava, watermelon and sapota. Fruits have a good proportion of fibre. Fibre in diet in proper proportion helps excretion, and prevents constipation. This is why inclusion of fruits in the diet is recommended. Most housewives, appreciate fruits because they are the easiest foods to handle. Just wash and serve! Fruits need absolutely no preparation or cooking. Of course, some of them need peeling. In addition, fruits lend themselves to be concocted into a variety of dishes. They can be baked, stewed, steamed, crushed, made into salads, ice drinks, ice creams, juices and sherbets. They can also be made into delicious jams and jellies, pickles and puddings. Fruits can be preserved easily because they contain pectin which is a starch like substance that helps in maintaining the texture of fruit. Almost all the states of India have fruit orchards. Most types of tropical, semi- tropical and temperate fruits are cultivated. It has been estimated that annually India produces 20 million tonnes of fruits. Of this, mango accounts for 9.1 million tonnes, banana 3.2 million tonnes, oranges 1 million tonne, other citrus 0.5 million tonnes and apples 0.7 million tonnes. The total area under fruits in our country is 1.6 million hectares or nearly 1 % of total cropped area. Annual export of Indian fruits is valued at Rs.17 million. The important markets for our fruits are the gulf countries and other neighbouring nations. However, the country has potential to increase production and export of fruits. The government has, in recent years, set up several fruit and horticulture research stations in different parts of the country, in order to promote fruit cultivation. Thus, fruits are important foods in terms of health and economy.